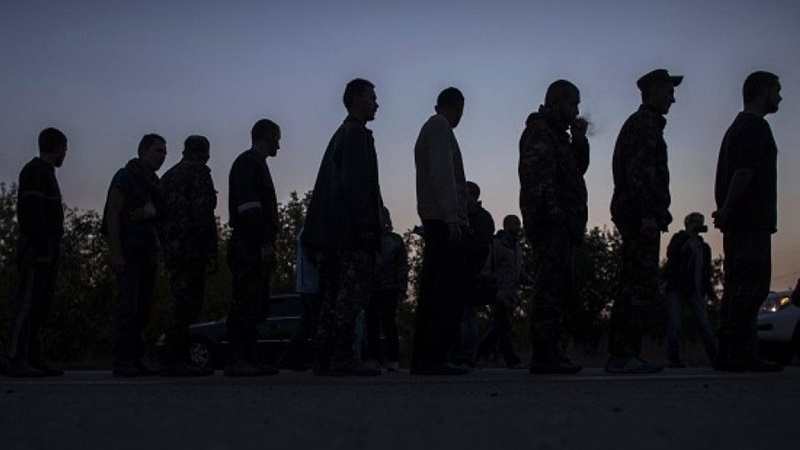 The militants of the terrorist group "LPR" took the Ukrainian prisoners from the colony and sent them for an exchange. User WarGonzo published the video on Telegram. The video shows the Ukrainian hostages leaving the prison. — Новости Донбасса (@novostidnua) 27 декабря 2017 г.